The race for fourth place is not only one that neither of the crews, Aleix Gelabert and Didac Costa on the ex-Kingfisher and the Garcia Brothers, doctor Bruno and jeweler Will on the good ship We Are Water, simply don’t want to lose, but every observer who has invested any energy following these two pairs does not either of them to come fifth. Can they please, please both just be fourth equal? Can they just agree to hold hands and cross the line together! 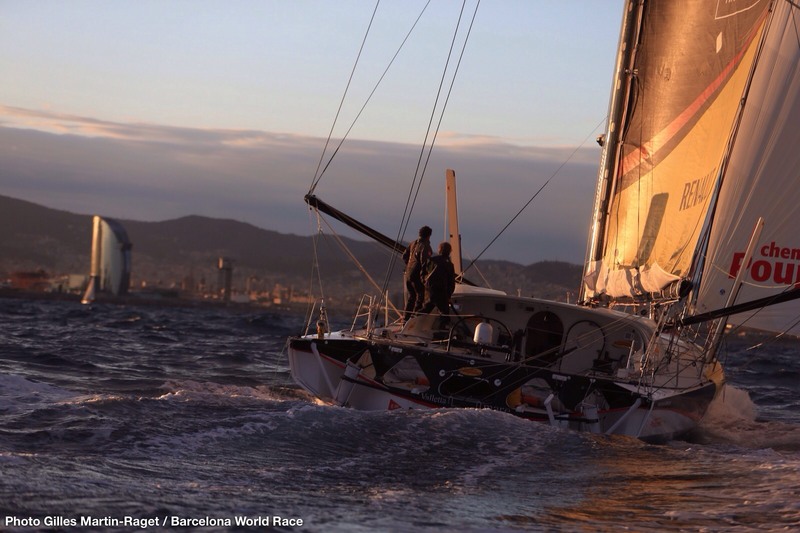 As the two Catalan IMOCA 60s sail east towards the Moroccan coast, just to the NE of Madeira, Gelabert and Costa are running into the light breeze which stands between them and Gibraltar, still 350 miles ahead. After leading since the South Atlantic, earning a margin of 120 miles by selecting the inside line, to the east of the curve, in the NE’ly trades when their rivals erred West – a mistake subsequently admitted by the Brothers. Now One Planet, One Ocean & Pharmaton is slowed to four knots. We Are Water are making nine and have caught ten miles since the early morning. Normal logic says the pursuers have to get into the same, light, sticky breeze soon and will struggle to pass. But so too theirs is the slightly newer, slightly more powerful boat – a 2007 generation Farr compared with the 2000 Owen Clarke. But then so far Gelabert and Costa have defied logic, sailed extremely smartly and outfoxed their rivals. Both of the duos have represented themselves and thei r causes with conviction and with enthusiastic, caring communication. We Are Water is the Roca sanitary ware’s foundation which promotes and delivers clean water projects in areas of need. One Planet, One Ocean is the motto of the Intergovernmental Oceanographic Commission of UNESCO, and highlights the close collaboration with the FNOB and the race’s commitment to sustainability and ecology. 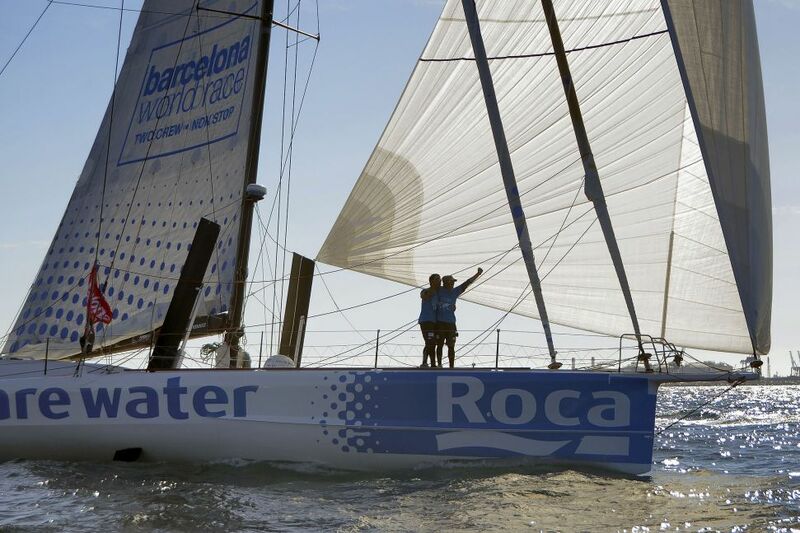 It is one of the spearheads of the scientific perspective of the Barcelona World Race, and strengthens the race’s contribution to oceanography and the environment. As well as pushing their famous IMOCA 60 to 10 per cent, they have undertaken a valuable scientific project all the way around the globe. 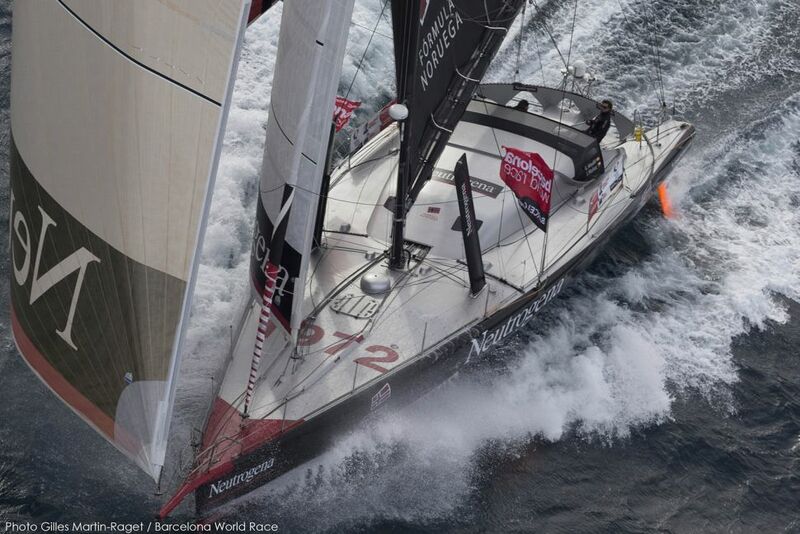 Easter Sunday should see the battle enter the Med, if they can up their pace a little. But it looks less likely given that there are easterly winds blowing in the Straits. For sure, a tactical, engaging race is on the cards to the line. Life is definitely looking rosier for the German-French duo Jorg Riechers and Seb Audigane, but only just. The sweet toothed German will be missing his Easter chocolate and, for sure, when he left Barcelona three months and three days ago would be expecting to have been finished before now. Save your spare chocolates for Riechers who is due to finish April 15th or 16th. Renault Captur has a much more easterly slant to their course now, pointing towards the north of France now rather than Newfoundland which was their course a few days ago. Three months in, more to go? Back for the prizegiving (April 21)? We will be back for the prizegiving. We have 15 or 16 days. I look forwards to having a drink with all the other skippers. On hearing Guillermo Altadill admired him for his race and achievments at 61…..
” It is nice to hear the other skippers admire us. This is an exceptional race we are doing. It seems my original forecast was correct in that we are now one degree north of the equator and still trying to wriggle free from the clutches of the doldrums. I no longer think of the winds as fickle but as fiendish, evaporating and twisting at just the moment required to drive any self respecting sailor go crazy. With our latest slow down I have actually been totally zen, but that’s largely due to the fact that I resorted to music and had a private dance party to keep the spirits up while the sails lolled uselessly in the briliant moonlight. Earlier in the day we slipped over the equator and back into the northern hemisphere for my seventh crossing to Nandor’s eighth. It was an exciting milestone as we are now on the final leg of our journey but it was also an opportunity to look back at the 20,000 miles we’ve run off the clock since we were here in January. We’ve had more than our fair share of difficulties, all of which we have overcome in various ways and we have always made it from one day to the next until we made it all the way around the world and back to the belt in the middle. Not bad, considering the less sanguine pundits were betting that we wouldn’t make it beyond Cape Town! Having made it across the equator I was looking for entertainment in the light winds. I saw that a couple of cargo ships were close by so I called them up to ask them about how grizzled mariner’s such as themselves would celebrate crossing the line. Despite being called directly with the name of their ship, most ignored me completely until I finally got a reply from a very russian sounding ship’s captain from the Baltic Summer. He replied that they had two first time equator crossers on board and they would be dunked in the swimming pool by Neptune to atone for their supposed sins! Clearly these rituals happen differently on the big ships because the crews on racing yachts generally just throw food and old f lying fish at each other when they cross for the first time! 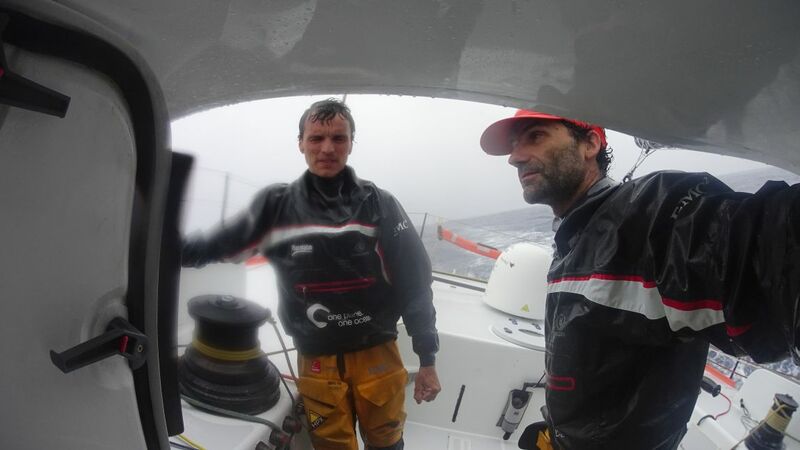 Now that we’re back in the north, on the right tack and pointing in the right way, all we need is some decent wind to propel us back to Barcelona. Given that the forecasts are still far from accurate I’ll go make myself a hot drink and see if I can find any wisdom in the tea leaves. Wish me luck and send us some Wind!